Calvin Blackburn III - Georgia - Book a consultation instantly! Calvin W. Blackburn, III received his A. B. in Sociology from Dartmouth College in 1992. Upon graduation, he was honored as the most improved student in his class and the most promising student in his major. In 1997, he graduated from the Vanderbilt University School of Law with a Juris Doctorate. He is licensed to practice law in Georgia and Alabama. For nearly 16 years, Calvin has been helping businesses and individuals solve legal issues concerning the workplace. His expertise and success are based on his broad experience in analyzing employment issues. As an attorney in private practice, Calvin has litigated on behalf of employees as well as private and public employers. 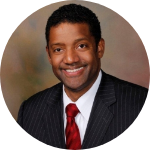 In the corporate arena, he has served as a former General Counsel and Vice President for Human Resources. Finally, in Alabama, Calvin sat as a Hearing Officer for state and county agencies. In that capacity, he was charged with hearing personnel disputes and issuing written opinions. Accordingly, due to his diverse background Calvin brings a holistic, balanced, and practical approach to solving his clients' workplace concerns. He does not recommend legal action where less risky and less expensive alternatives exist to meet his clients' goals. When formal legal action is necessary though, Calvin will aggressively and zealously pursue or protect his clients' interests. In sum, whether you need traditional legal representation, or more discrete guidance and coaching, Calvin Blackburn and his firm are ready to help you through your workplace issue. Book me for a consultation on Attornify today.